He’s terrorized Camp Crystal Lake, the Big Apple, and even the far reaches of space. 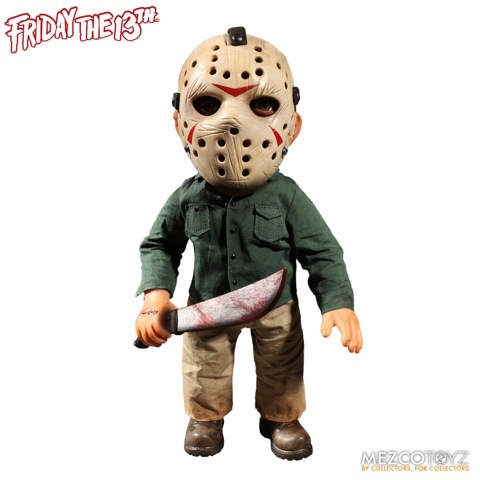 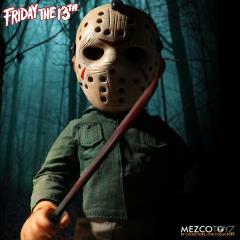 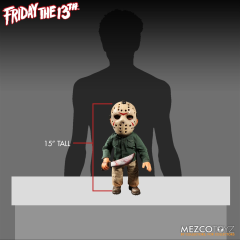 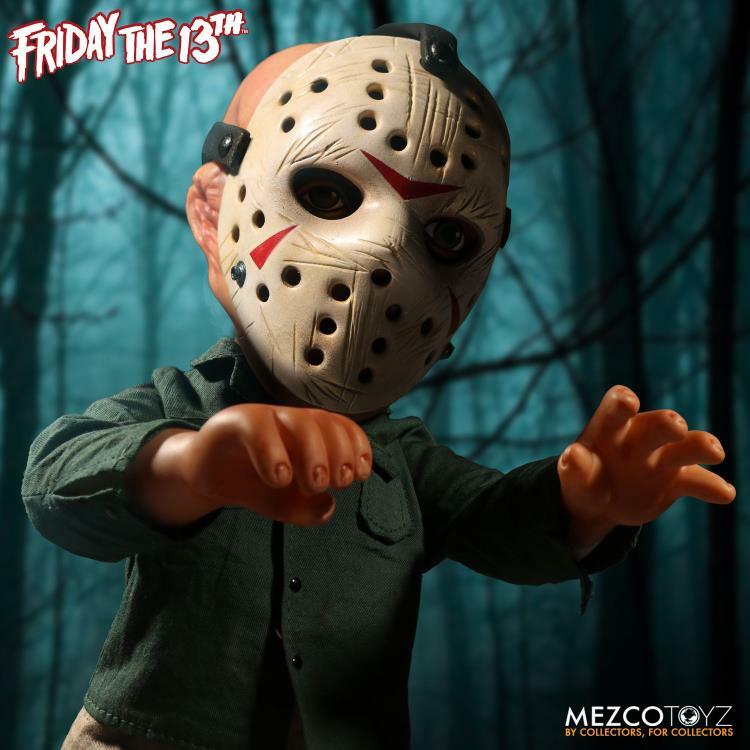 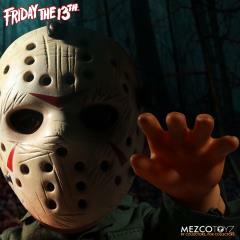 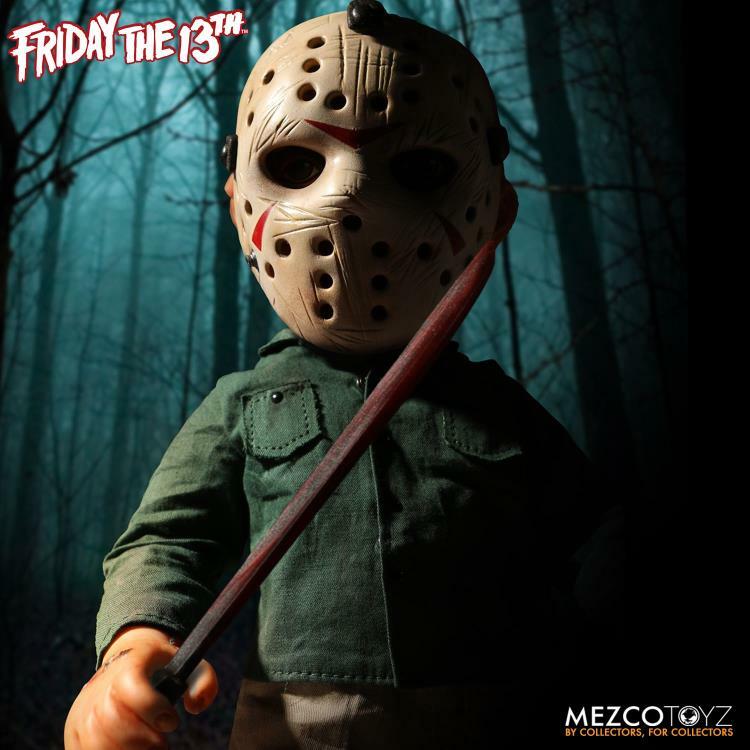 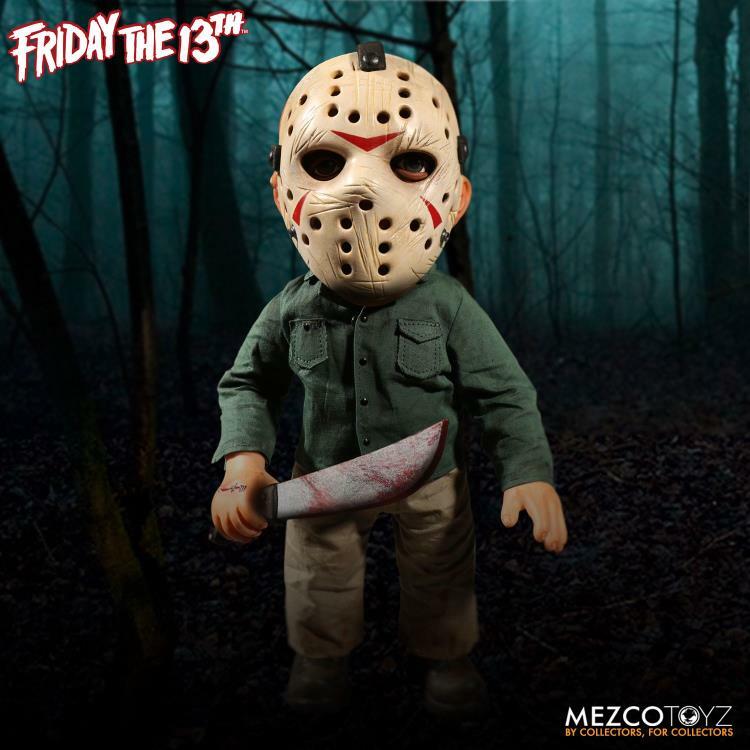 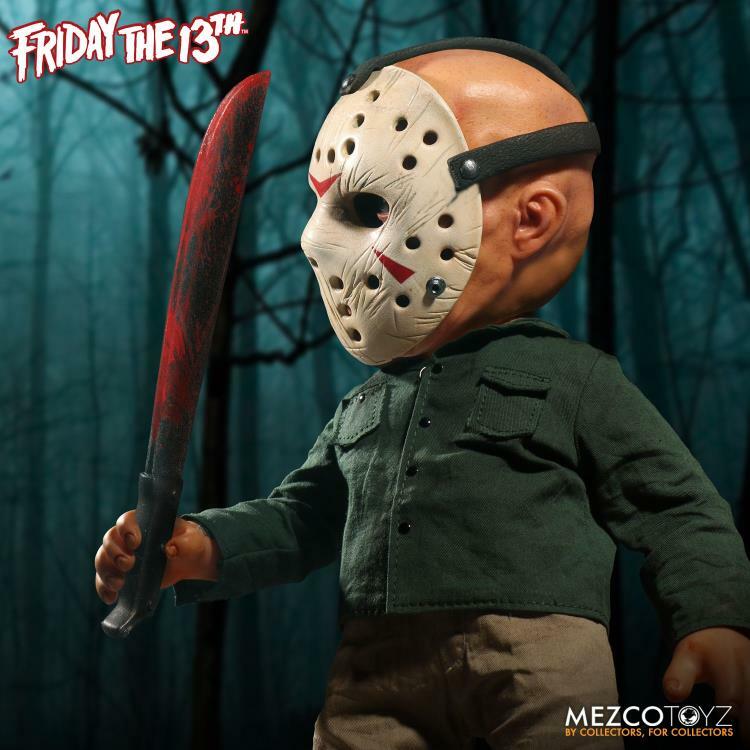 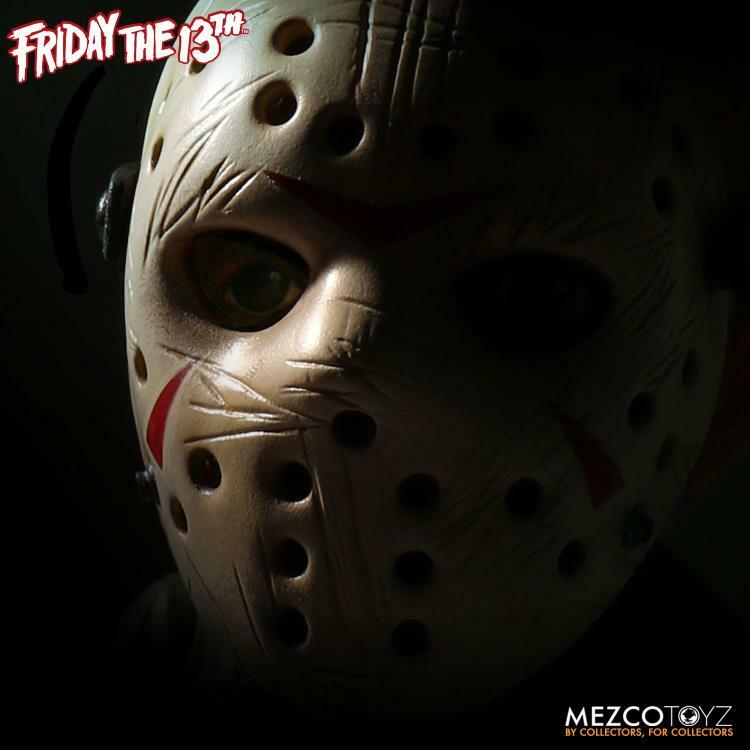 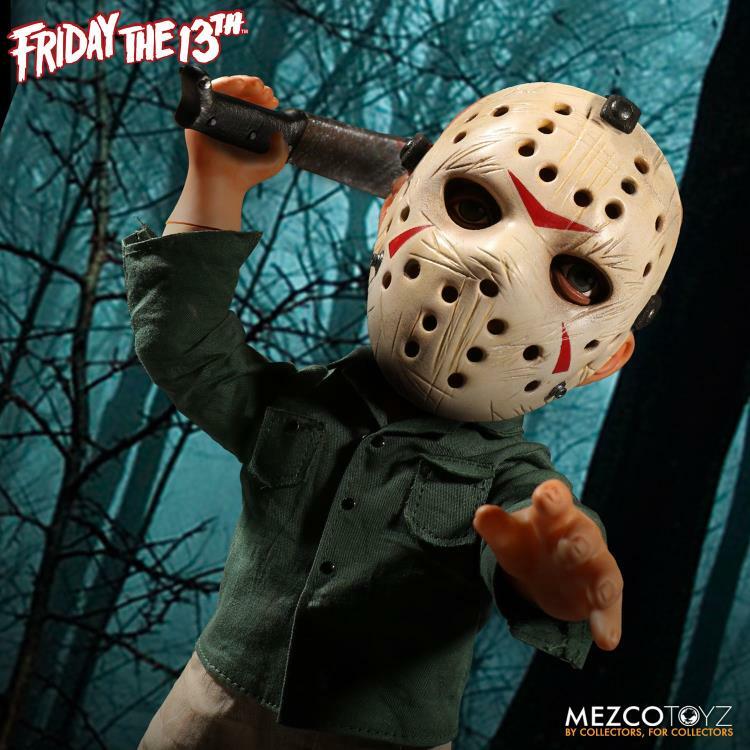 Now Mezco lets you take the creepy camper-killer home with the Mega Jason from the Friday the 13th horror film series! 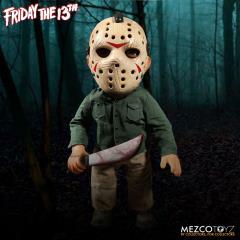 Standing an imposing 15 inches, this super-sized psycho comes complete with his trademark machete and plays his iconic signature sound effect that lets you know when Jason is near.